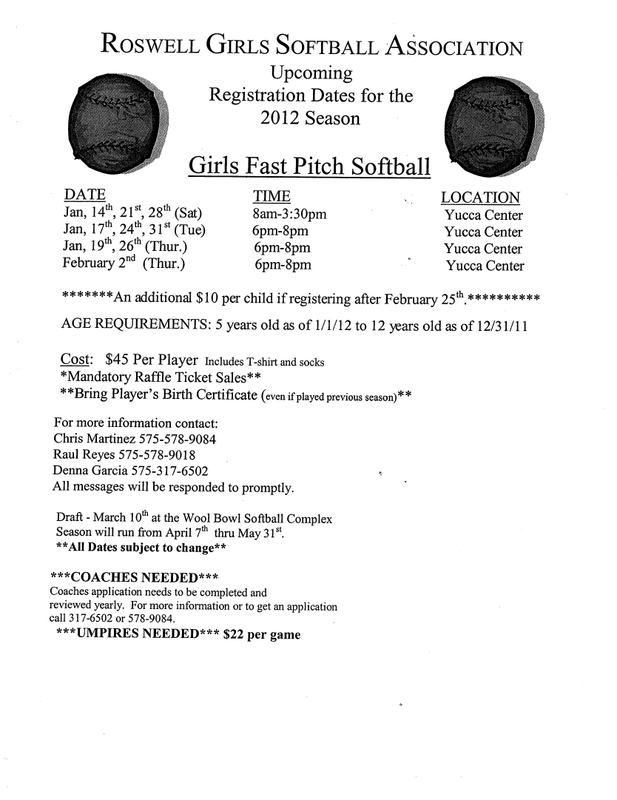 We have a copy of the league’s registration flier. I know that some of the registration dates have passed but there is still plenty of time left and lots of other info on the flier. Checkout the dates for registration below and you can also get those dates from the Sluggers Calendar listed in the Sluggers Links to the right of this post. Below the registration flier is a the flier with the player draft information which will happen after registration is over. 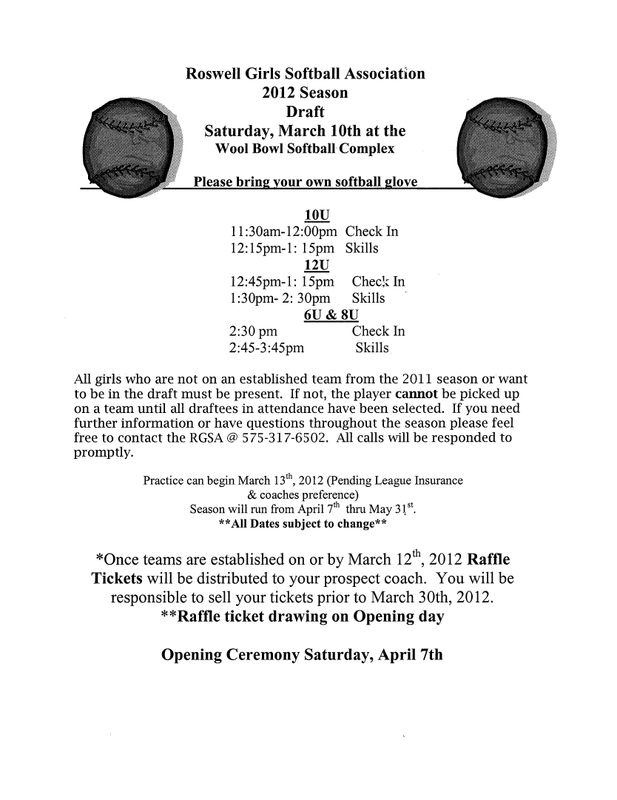 This entry was posted in Girls Fast Pitch Softball, Player Draft, RGSA, Roswell Girls Softball Association, softball, softball registration and tagged 2012 player draft flier, 2012 registration, Girls Fast Pitch Softball, RGSA, Roswell Girls Softball, Roswell Girls Softball Association. Bookmark the permalink.